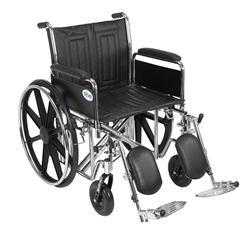 20"-24" seat width options - Product weight: 41 - 58 lbs. Weight capacity: up to 500 lbs. 300 - 500 lbs. 41 lbs. Karman Weight Capacity 300 lbs., 400 lbs., 450 lbs., 600lbs. 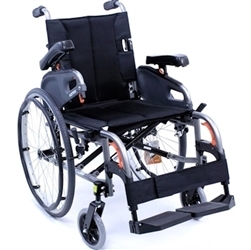 20"-24" seat width options - Product weight: 42 lbs. 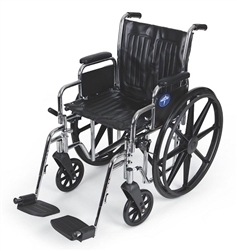 Weight capacity: up to 450 lbs. 350 -450 lbs. 42 lbs. Double embossed vinyl upholstery is durable, light-weight. 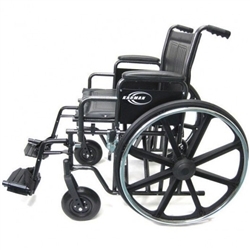 Karman Lightweight Bariatric KM-8520 is a Lightweight (Manual) wheelchair. 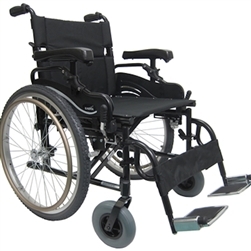 The Quickie M6 heavy duty wheelchair is a bariatric wheelchair with a weight capacity of 650 lbs. Modular frame with interchangeable frame components for easy changes. 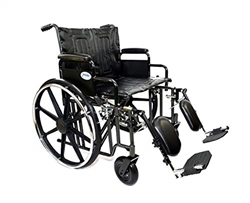 Heavy Duty/High Weight Capacity Wheelchairs allow for a higher weight capactity and are typically catered towards larger patients. 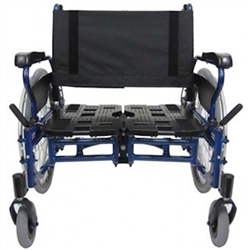 These chairs have capacities up to 500+ pounds and are constructed with an exceptional weight-bearing frame.